Under the new bill, the use of audio devices is allowed but text messaging is not. Photo credit: shutterstock.com. The growth in technology and the use of smartphones have become more intertwined in the daily lives of people of all ages. While this growth means faster access to information and more real time communication, many fear that it has led to an addiction to these devices. This addiction has bred a disconcerting distraction for road users who are exposing themselves to danger. Cities around the world are concerned with the safety of the road users with lawmakers being left with the responsibility of protecting them from injuring themselves. 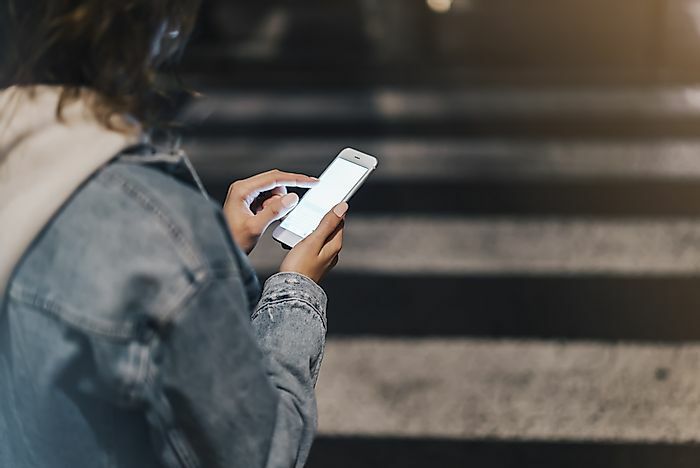 According to a report by Reuters, the use of these devices on roads led to more than 11,000 injuries between 2000 and 2011 due to distractions created by these devices while walking. This reckless behavior among road users prompted the Honolulu City Council to pass a law banning texting while walking. From a report by CNN, the concern expressed by a group of high school students for their smartphone-addicted peers introduced the idea to Councilman Brandon Elefante. The bill bans the use of smartphones and other handheld devices while crossing streets or roads. The use includes looking at a cell phone or texting. The bill covers laptops, cellular phones, PDAs, video, and photographic devices. Audio devices are however not covered by the legislation. The bill introduces fines for offenders depending on the times they are caught looking at their cell phones. For first time offenders, the fine ranges between $15 and $35, $35- $75 for a second offense and between $75 and $99 for a third-time offenders within the same year. Individuals exempted from the legislation include those who have to receive or make calls as part of their day-to-day duties or those making or responding to emergency calls. The bill signed by Mayor Kirk Caldwell was passed by a 7-2 vote and will take effect on October 25 this year. Those rejecting the bill feel that there are more important and pressing issues such as homelessness. Residents of the city have also complained about the bill being inconsiderate and invasive to personal freedom. One of the residents, as quoted by Reuters, suggests the scrapping of the bill and instead introducing mass education on responsible use of electronics on the road. Media outlets such as the Star have compared this legislation to parents trying to warn their children about things they should not do, suggesting that the legislation will not stop the reckless use of smartphones on roads. Honolulu becomes the first large city in the US to introduce legislation for smartphone use by pedestrians. Other large cities around the world are also concerned about the safety of their road users, who often are distracted by their smartphones end up running into stationary objects. London has, for example, padded light lamps to reduce the impact of these smartphone-distracted pedestrians. Augsburg in Germany also embedded traffic signals into the ground where the phone users can notice them.